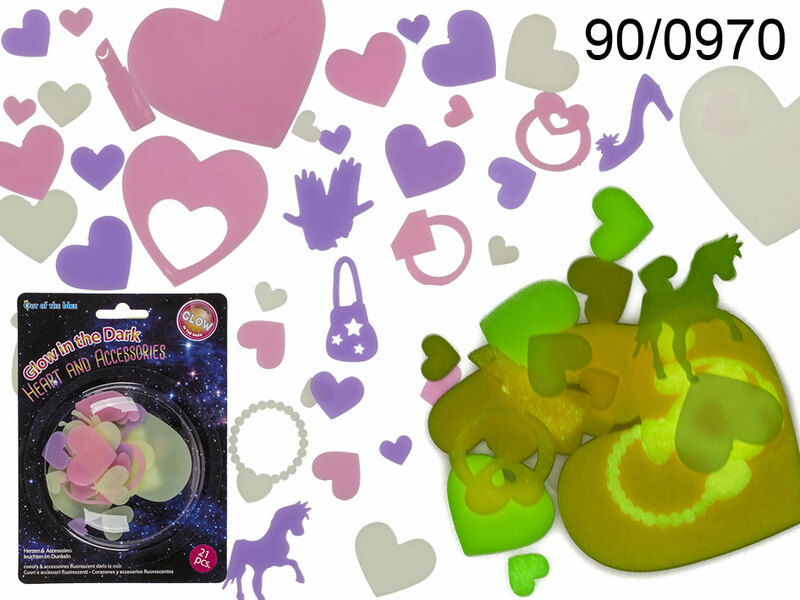 Set of 21 colourful fluorescent shapes of hearts and fashion accessories that after being exposed to the light glow in the dark. Lovely decorative item for any space. The set includes pieces in various shapes, sizes and colours.